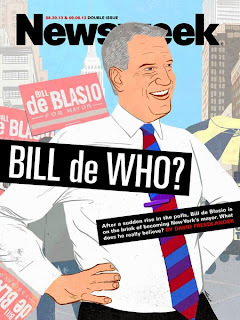 THEISPOT.COM: Illustration News: Jacob Thomas: Bill De Mayor! 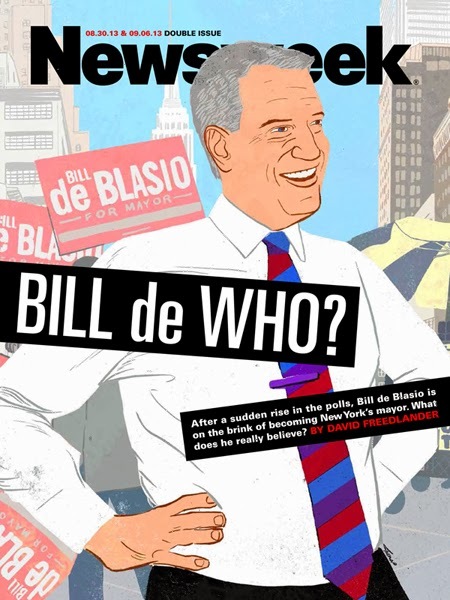 Jacob Thomas created this cover illustration for Newsweek just a couple of months ago, when nobody knew nothin’ about Bill de Blasio. Fast-forward to November 5th… Mayor by a landslide!